A promotional illustration created for Horsetooth Hot Sauce in Fort Collins Colorado. These guys are always so much fun to produce work for as they are longtime friends of mine and allow me to fully manage projects conceptually and creatively (possibly because they’re just too busy to ask for revisions!). 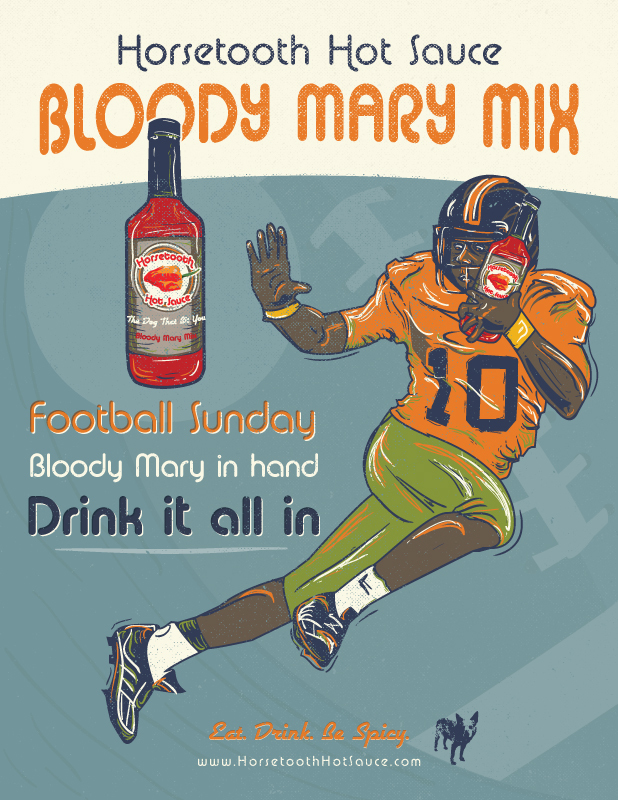 I created this illustration for them to help promote their bloody mary mix during football season.